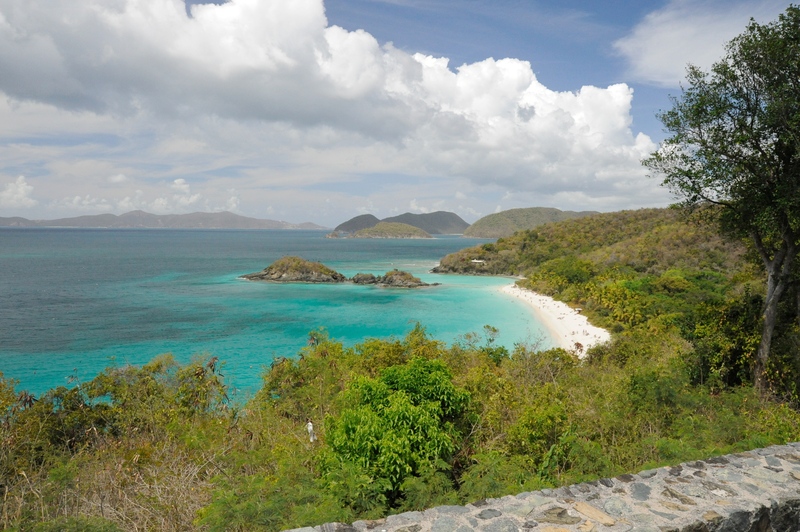 This is a mini-post, a part of the Wiki Vacation series of posts from my tour of the US Virgin Islands in 2009. The trip to Trunk Bay was our first visit to Saint John, and was limited to half a day, where we went with family, a newly-wed couple, and friends. Our second trip to Saint John followed a few day after, where we went alone, documented on the long post on Caneel Bay. 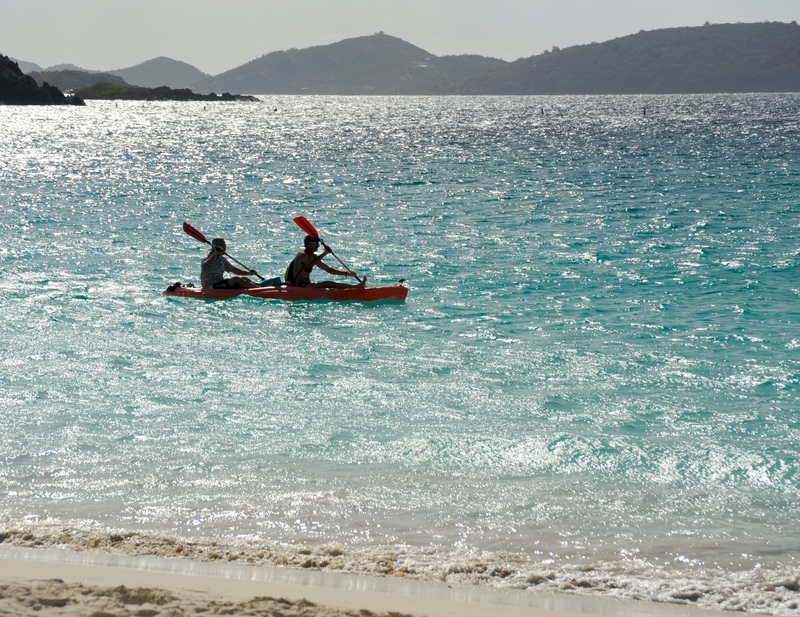 Some of the best beaches on Saint John are unfortunately private beaches that belong to Caneel Bay. 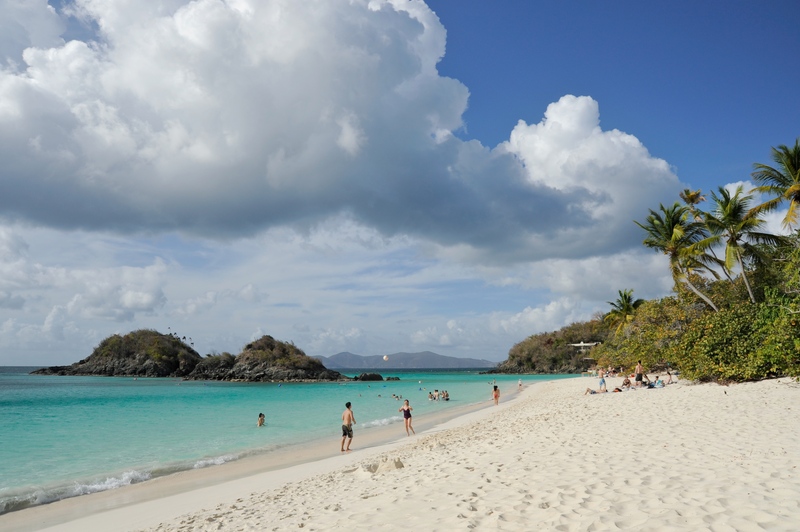 Trunk Bay is probably the most beautiful and popular beach among public beaches on Saint John. 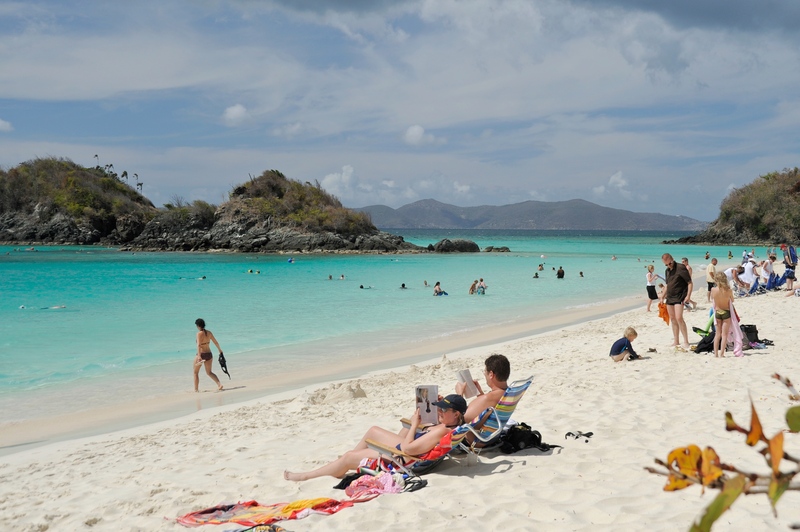 Because it is not a private beach, one can expect to see a lot more tourists, relatively speaking. 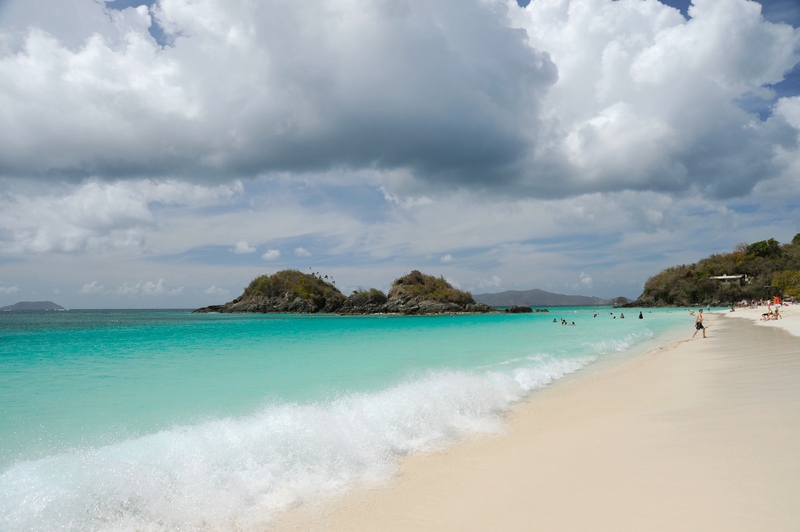 Trunk Bay is famous for its underwater snorkeling trail that spans more than six hundred feet, around that big rock in the picture. 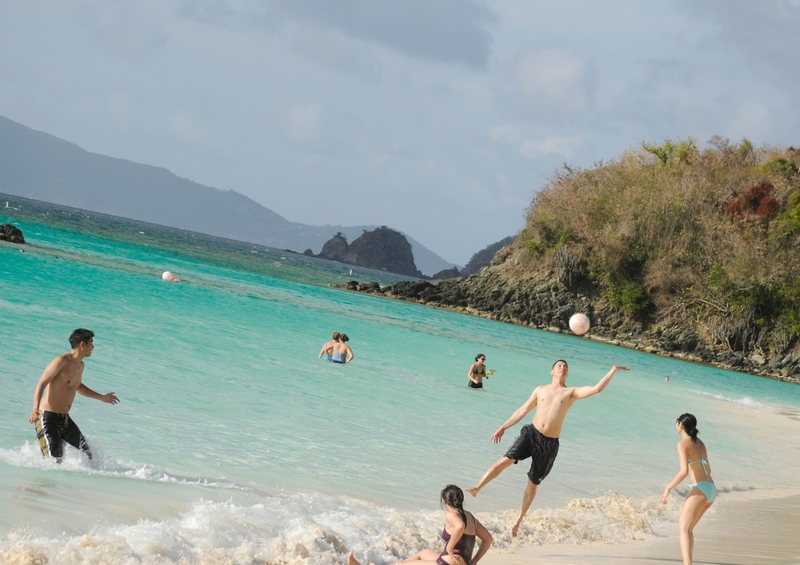 Some visitors play beach volleyball. Pictures to follow are personal one and have not been uploaded to Wikimedia. That’s it. 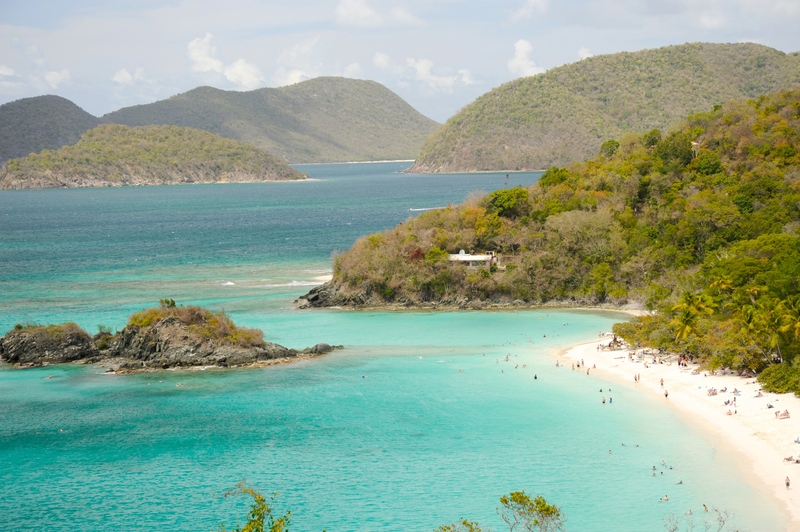 All of the pictures shown here, except for the personal ones, can be found on the Trunk Bay Wikimedia category. 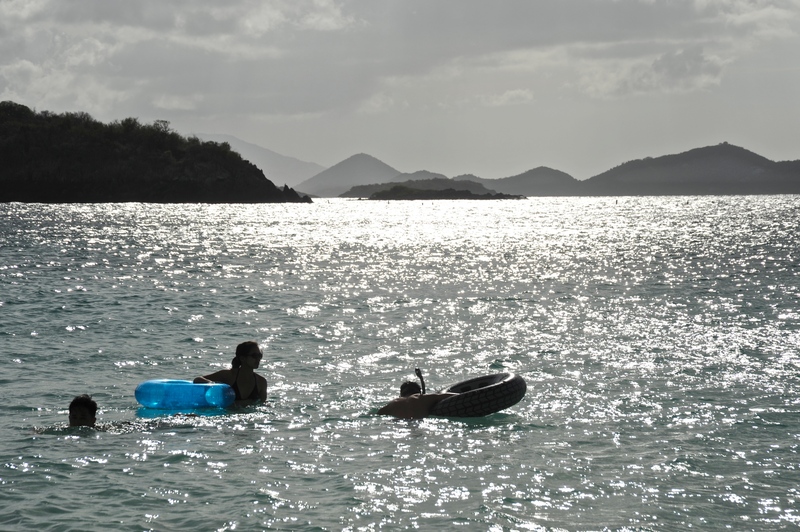 The next post in this series will focus on pictures I uploaded for Saint Thomas, Magens Bay, etc., from the same tour. 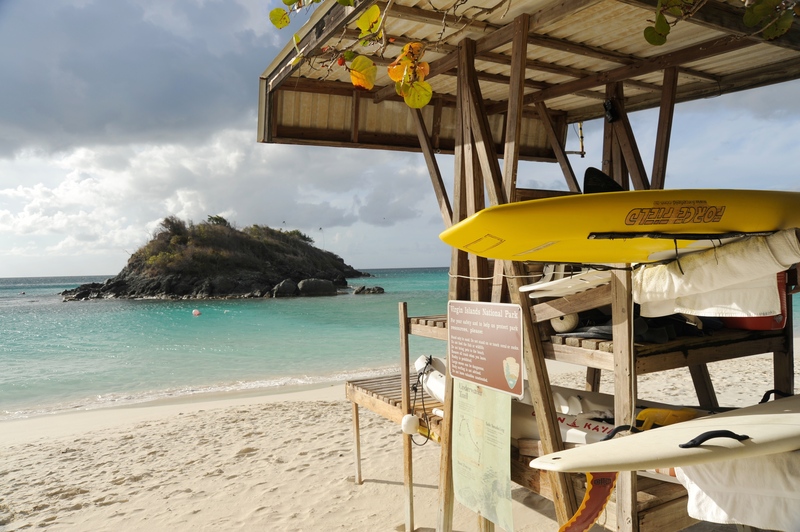 This entry was posted in Being a Wikipedian, Photography, Travel and tagged Beach, Beach volleyball, Beach Yoga, Kodak Moment, lifeguard station, Saint John, snorkeling, Travel pictures, Trunk Bay, Wiki Vacation. Bookmark the permalink.